Saichiro Fujita came to America when he was a teenager and learned about the Bahá’í Faith in Oakland, In 1905, Fujita-san (‘san’ is a respective term in Japanese to mean Mr. or Sir it can also be used for females to mean Mrs. or Miss) became the second Japanese Bahá’í. In 1912, Fujita learned that ‘Abdu’l-Baha was visiting America, so he traveled to Chicago to meet Him. When Fujita-san found Him, Abdu’l-Baha talked with Fujita-san and taught him many things. They became very close friends. 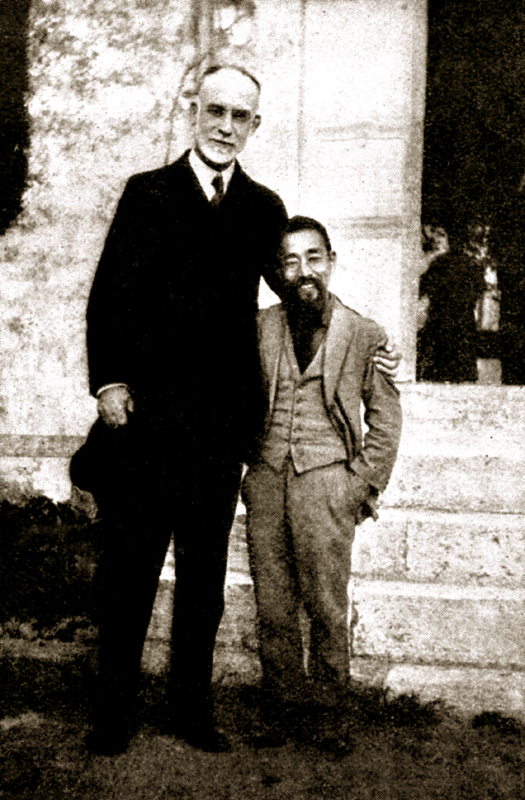 Fujita-san wanted to follow ‘Abdu’l-Baha wherever He went, and traveled many places in America with ‘Abdu’l- Baha. One of these trips was to Glenwood Springs, Colorado. Fujita-san was among the five companions traveling with ‘Abdu’l-Baha. All six of them were going to lunch at the Hotel Colorado and as they were being seated for lunch the table was only set for five. ‘Abdul-Baha asked why and the hotel manager indicated that Fujita-san said ‘he was your servant’. ‘Abdu’l-Baha responded “We are all one” which got the attention of the waiter and surprised him. 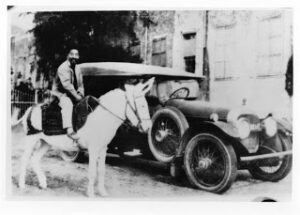 ‘Abdu’l-Baha told Fujita-san to stay in America and finish College and learn ‘electricity’ among other things and told him once he’s complete to then come to the Holy Land (Israel) and help Him. Fujita-san finished college and went to Israel and helped ‘Abdu’l-Baha and used his electrical engineering skills until he was an old man. Fujita-san met pilgrims and visitors from all over the world and he showered them with his love. He lived in the Holy Land for nearly 40 years. O thou fresh plant in the garden of the Love of God! What thou hast written was considered. It was an evidence of following in the Pathway of Guidance, and a proof of the attraction of the heart to the Beauty of His Majesty, God. Consider what bounty God has manifested for thee, whence thou art and from whence are we. Yet, nevertheless, such a candle of love is burning in the hearts that its light is radiating from the East to the West and from the West extending to the East. Rest assured thy name is registered in the Book of God, and it is hoped that thou mayest enter the Paradise of the Kingdom and find stability; to reach that which is the cause of the progress of the world of humanity in the world and in the Kingdom, and with perceiving eye, attentive ear, eloquent tongue and radiant face may serve in the Vineyard of God and spread the Divine Glad Tidings. If thou art confirmed as thou oughtest to be, thou wilt certainly establish an eternal Kingdom. This Kingdom is greater than that of Mikado, for the 27th sovereignty of the Emperor of Japan is for numbered days, but this sovereignty is lasting and will stand unto the Eternity of Eternities. That sovereignty can be hidden under one handful of dust, that is when Mikado goes beneath the handful of dust, he is entirely effaced and erased, but this Kingdom withstands the greatest revolution of the worlds, and will stand with perfect stability unto eternity. The former kingdom is established by the power of the sword, burning fire, devouring, and the shedding of blood, while this Kingdom is built upon freedom, glory, greatness and the love of God. Consider how much difference there is between them.